2018 International Conference on Family Planning in partnership with Pathfinder. 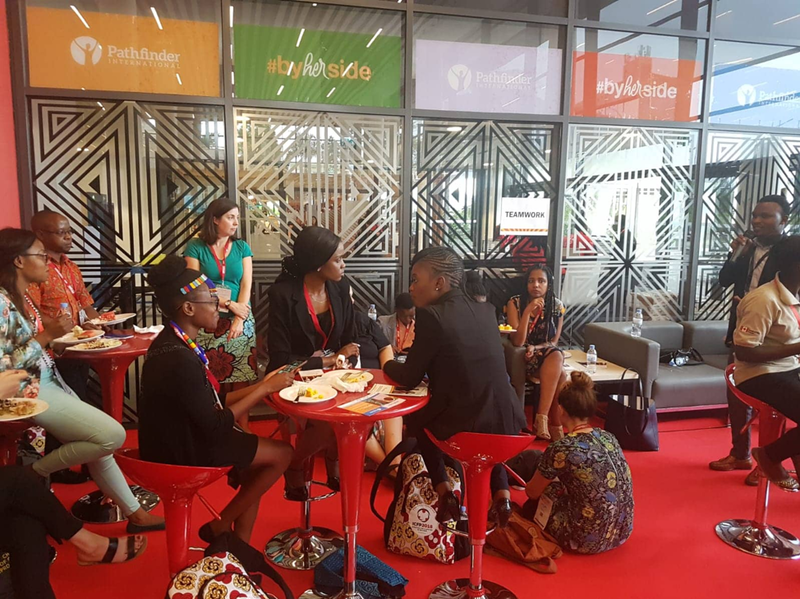 Resonate had the pleasure of working with the African Women in Leadership Organization (AWLO), through a two-day webinar series. Our CEO Ayla Schlosser, and one of our lead facilitators, Naila Umutoni, led a successful “Storytelling for Leadership” workshop for a group of women from West Africa. This webinar workshop offered a wonderful opportunity to hear the inspiring stories of women from West Africa that we otherwise would never have had the chance to hear. As we wrap up an exciting month, and year, we hope that you will consider donating to our End of Year Giving Campaign. No matter the amount, your support helps thousands of incredible East African women and girls unlock their leadership potential. Women like Josette, who started off not believing that she had any hope for a future, but ended up starting her own chicken business and leading a successful career that supports herself, and her family, today.